This is an exercise to start practicing Hieros Gamos, the union of feminine and masculine polarities into Oneness, within ourselves. 1. 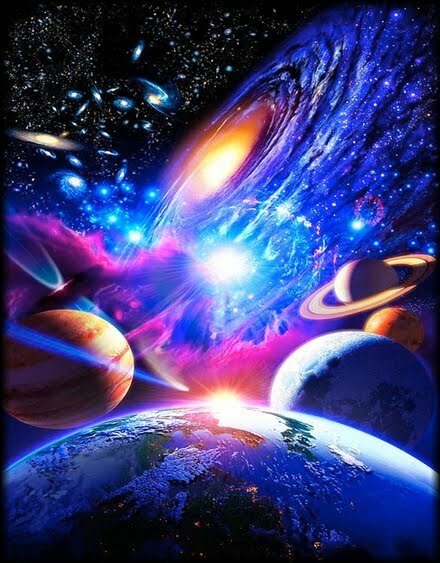 Visualize any Divine Feminine and Divine Masculine embodiment (Goddess and God) that you resonate with, for example Astara (Isis) and Ashtar (Osiris), standing with their feet just above your head, the Goddess over the left side of your body, and the God above the right side. Then visualize and feel both them them entering your body, the Goddess into the left half of your body, and the God into the right half. Feel their presence within you for some time. 2. Feel both energies embracing each other, mixing throughout your whole body. 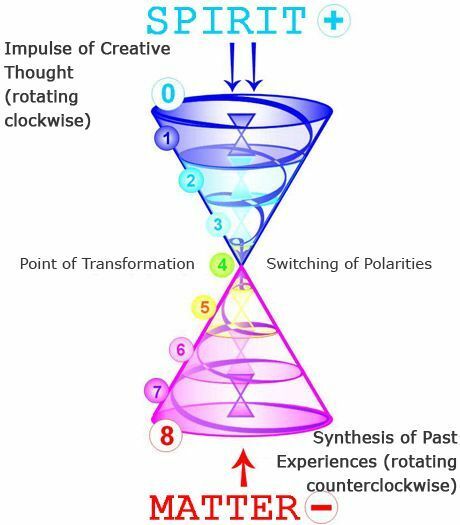 You can visualize and feel the masculine energy spinning clockwise and the feminine energy spinning counter-clockwise as they mix. 3. Visualize a vertical pillar of bright golden Light going through the center of your body, surrounded by the masculine and feminine energies spinning around it inside your body. This golden pillar represents the union of feminine and masculine as Source within you. 4. As you breathe in, visualize energy flowing from the golden pillar into the masculine and feminine energies spinning around it, and as you breathe out, visualize energy flowing from the feminine and masculine energies into the golden pillar. Breathe in fully until your lungs are full, and out fully until your lungs are empty, without making a pause between the in and out breaths. Breathe like this for some time. 5. Visualize your Earth star chakra (below your feet) inside of the golden pillar, and as you breathe in, visualize two kundalini spirals, one is masculine and the other feminine, spinning outside of your Earth star chakra, and as you breathe out visualize these two kundalini spirals merge back into your Earth star chakra. Then as you breathe in, visualize these two kundalini spirals flowing out of the golden pillar, spinning upwards towards your root chakra, and as you breathe out visualize them merging into your root chakra inside of the golden pillar. Then as you breathe in, visualize these two kundalini spirals spinning outside of the golden pillar, upwards towards the sacral chakra, and as you breathe out, visualize them merging into the sacral chakra inside the golden pillar. 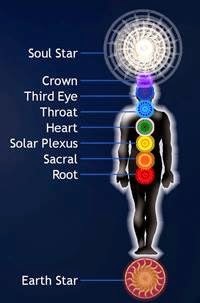 Repeat this process going upwards through all your chakras all the way to your soul star chakra. 6. 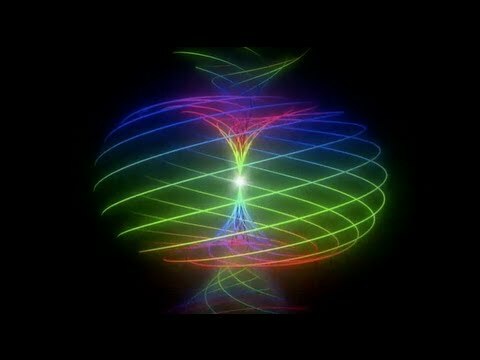 Visualize a spiral of Light rotating clockwise from above your body down into your heart, and a spiral of Light rotating counter-clockwise from below your body up into your heart. 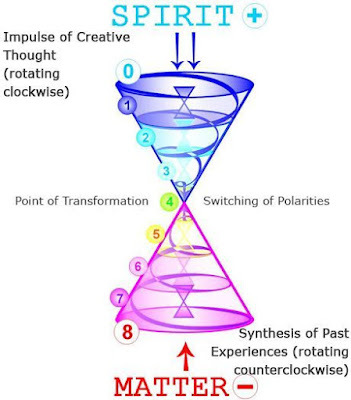 Keep these spirals active, and simultaneously, as you breathe in visualize Light flowing out from your heart into your torus energy field, and as you breathe out visualize Light flowing from your torus energy field back into your heart. 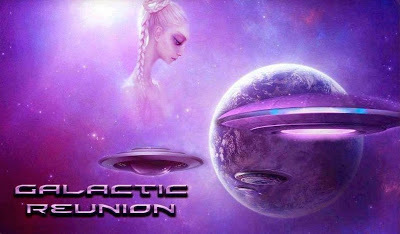 There will come a time, called Galactic Reunion, sometime after the Event and First Contact, when Earth will massively reunite with the rest of the galaxy. 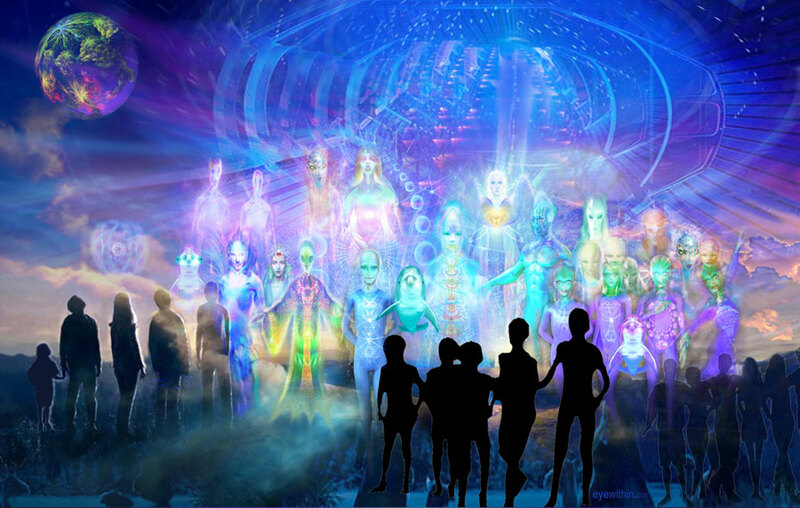 There will be mass landings and many Galactic beings of Light visiting Earth, reuniting all Soul families that have members on Earth. This moment will mark the full ending of duality and return to universal Oneness.